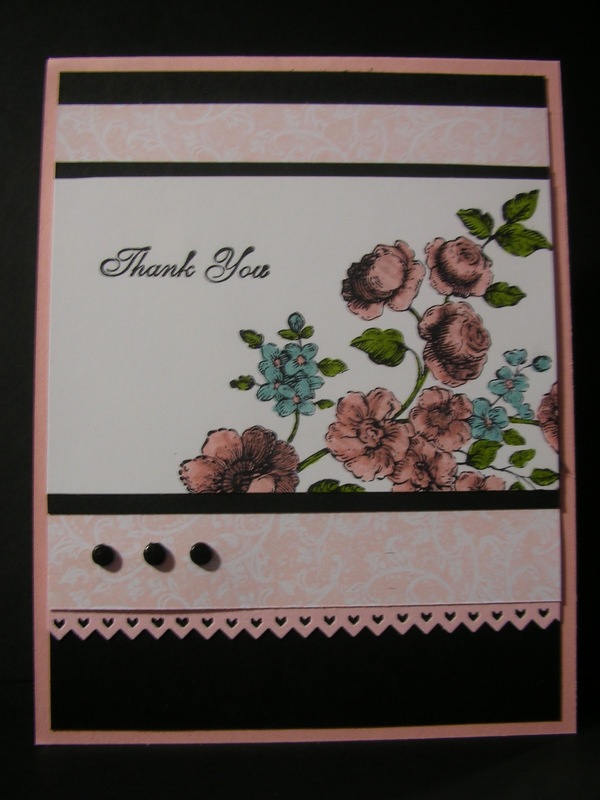 Today's card combines one of my favorite stamp sets - Elements of Style - with one of my favorite color combinations - pink & black. I headed for my Designer Series Paper scraps for the printed paper which was a great way to use up some of those leftovers. 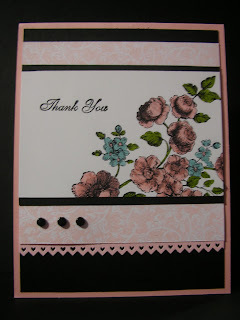 I ended up making this card in a couple of other color combinations using scraps from several sets of DSP. Challenge of the day - go into your scraps and create something using your scraps too!